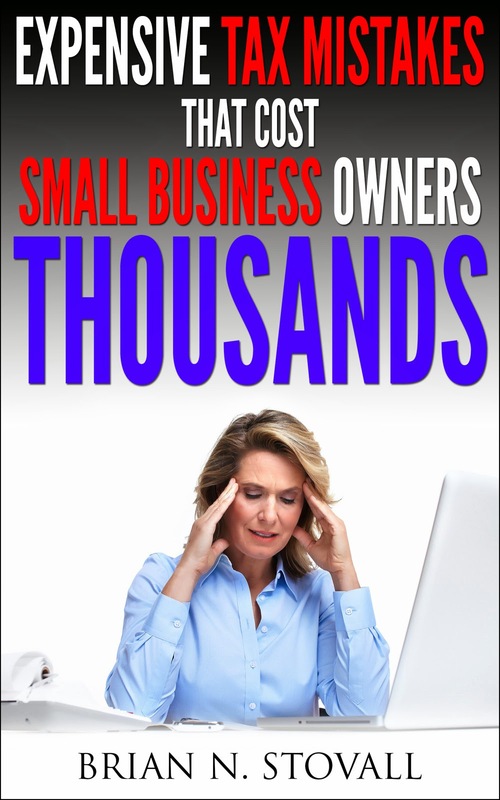 Congressional leaders may be out to help the small business owner with a new proposed bill. The “Home Office Tax Deduction Simplification and Improvement Act of 2009” would create simpler way for small business owners to cut through the complex tax code and take advantage of the home office tax deduction. The details of the Act would also open the home office deduction to many of the small business owners who did not qualify for the home office deduction in the past. Currently the bill is backed by many of the advocates for small businesses, so now is the time for you the small business owner to call your legislator and tell them to vote yes. Small business owners need to find ways to make the most out of their existing resources and people to ensure that their businesses are viable in the slow economy. One important way to make the most out of your existing technology resources is to take a look at them and find ways to improve their performance. On a recent visit to the local computer supply shop, I took a look at some of the existing computer systems out on the market and although the prices are low (see previous posts) a small business owner may save their hard earned dollars by simply upgrading their existing systems. By adding additional RAM o our laptops, our firm was able to recognize faster systems that increased our productivity. Another way small business owners can do more with what they have is to use their software to the fullest. Most small business owners only use about 20% of the features that are available in their software titles. By taking additional training course that are typically offered by software vendors, a small business owner can unlock the true power of their software and get more done. Most software vendors have free training and online communities that can assist small business owners with any questions they may have about their software. So before you go out and spend your precious dollars one additional technology, be sure that you are using what you already have to the fullest. It would appear that the government may take another look at the idea of taxing personal use of business cell phones. IRS Commissioner Doug Shulman and Treasury Secretary Timothy Geithner have changed their opinion of the proposed cell phone use tax and would like Congress to repeal the 1987 tax law. Thanks to everyone that sent their opinions to the IRS, there more than likely will not be a tax increase….good idea Doug and Tim to repeal the tax. Another good idea for small business owners to stay afloat in the down economy is to look for better ways to manage people and processes. Many small business owners do not like change, but making a change may be the only way to stay competitive. Technology can play an important factor in streamlining operations, so be sure to map out a plan that will keep your business operating in high gear. Many small business owners may not have heard about this one, and this may be some shocking news for those that have business cell phone plans. According to recent IRS Notice 2009-46 the treasury is looking to enforce an old 1989 tax law that would make business owners assign 25% of their employees’ annual phone bill as a taxable fringe benefit. For many workers, the change will increase their taxes. Currently the IRS is investigating three different methods to tax personal use of business cell phones. For more details on the IRS’s proposals be sure to take a look at the following diagram link. The IRS is currently seeking public comment on the idea and this may be a great time for many small business owners to be heard. Send public comments to Notice.comments@irscounsel.treas.gov with “Notice 2009-46” in the subject line. Be sure to post your thoughts regarding the new tax the IRS is phoning in on this blog too. The current economic situation has impacted small businesses negatively in the recent months and many need assistance to stay afloat. The Small Business Administration may be to the rescue for many small business owners with their Microloan program coupled with changes the American Recovery and Reinvestment Act made to it. The Act expands the amount of funding a small business owner can receive by $50 million and technical assistance grants by $24 million. The expanded funding will last through September 10, 2010 for small business owners no matter if you are in start-up, or growth stage the program may be beneficial. The SBA Microloan program’s maximum term limit is six years and the maximum loan amount is $35k. Be sure to speak to your advisor regarding what documents the lender will need to process your loan. A Microloan may help your small business stay afloat in they tough economic times. Small business owners need to have efficient processes in place for their business operations to move smoothly. Usually having a stable and secure computer system will assist small business owners who need to have data access when making decisions with suppliers, customers and other vendors. With the economy being slow, many computer manufacturers and trying to liquidate their inventory and are offering all kinds of deals on their overstocks, but are these computers the right ones for your business? An article on PCMag.com may provide small business owners with the necessary information they need to purchase the right computer system for their business. For a technology based small businesses, actually purchasing a computer system may not be the best option due to the always evolving advancements in technology so these small business owners may want to look at leasing computer systems. No matter which option is chosen, the small business owner goes, they must take into account their budget limitations and their needs based on their business processes.